In 1858 our founder William Pengelly conducted pioneering excavations in Brixham Cave, where he trialled a novel system for excavation using so called ‘prisms’ which were 1 ft × 1 ft × 3 ft in dimension. This was revolutionary at the time and enabled finds to be plotted and recorded with greater accuracy and accountability. This resulted in excavations which preserved evidence for human antiquity and revealed artefacts consistent with extinct mammal bones found in situ under an untouched stalagmite floor. The method was so successful he used it for 16-years while at Kent's Cavern, from 1865 to 1881. It quickly became the standard practice for archaeologists who had previously been rather less scientific in their recording by modern standards. 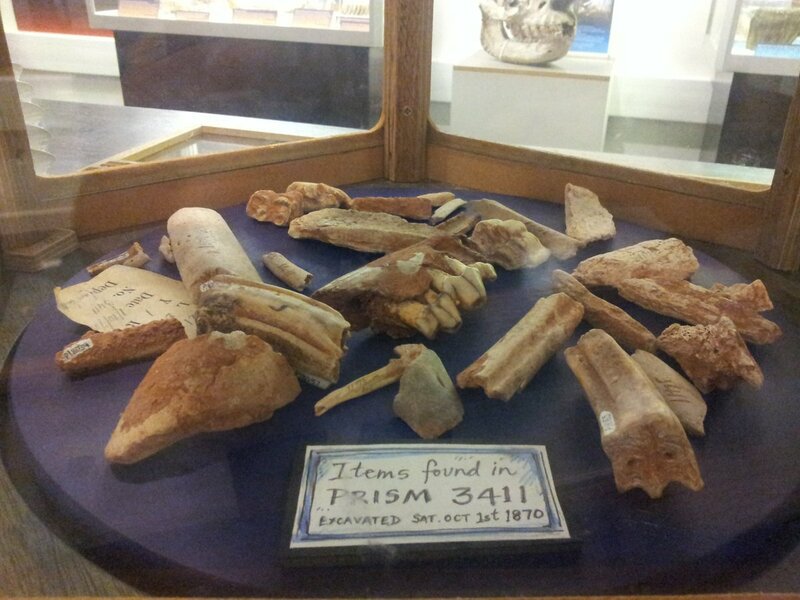 The Prism shown is number 3411 which was excavated in 1870 and is on display in our Ancestors Gallery. It will form part of our Pengelly activities on 22 July 2017 in the FAMILY FESTIVAL OF ARCHAEOLOGY which explores the life and work of William Pengelly.